Join these teleconference calls with Louix Dor Dempriey and learn simple, practical tools for spiritual living that will accelerate your path to self-mastery! 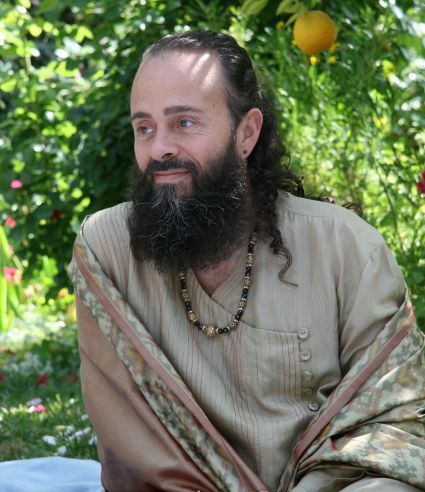 Louix Dor Dempriey is now also offering His darshan and Divine guidance through a series of teleconference calls that are held on the first and third Thursday of every month. These live calls with Louix include discourses, as well as the opportunity to submit questions to Louix and receive His guidance on topics of personal and general concern. 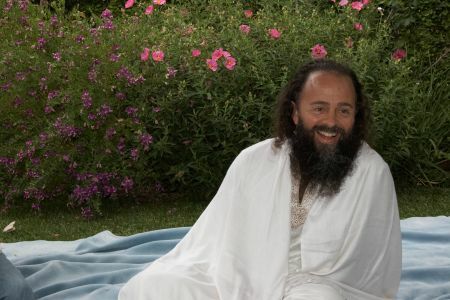 During these calls, He also shares many tools for spiritual growth, such as chanting, body and mind purification techniques, and guided meditations. All calls are recorded and made available for future listening to all those who register. Participating in these conference calls is a creative way to avail yourself of Louix’s teachings. SPECIAL OFFER: For every 2 calls purchased, you have the option to purchase one archived recording for half price ($10.00). August 19th (Friday), 7:30 p.m.
All are welcome to come and receive a personal blessing from Louix, and to be enchanted by the world devotional music of Pranam, who will be performing live. On this special evening, Louix will offer a discourse followed by a Q&A session, wherein you can receive His guidance on any topic of personal or general concern. October 14th (Friday), 7:30 p.m.
July 6th (Wednesday), 7:30 p.m.
July 7th (Thursday), 7:30 p.m.
July 10th (Friday), 10:00 a.m. - 6:00 p.m.
On this special day, join Louix for a magical journey of self-discovery. Come and experience profound transformation through meditation, ceremony, discourses, Q&A, and darshan. To register for the retreat, click here. July 28th (Thursday), 7:30 p.m.
July 30th (Saturday), 10:00 a.m. - 6:00 p.m.
Join Louix in Sedona, one of the most powerful energetic vortices on the planet for a 6-day residential retreat at Enchantment Resort, during which we will usher in the auspicious year of 2012. Experience the transformational power of Louix's darshan, and move into greater areas of mastery in your life, through the direct and personal guidance of this spiritual Master. 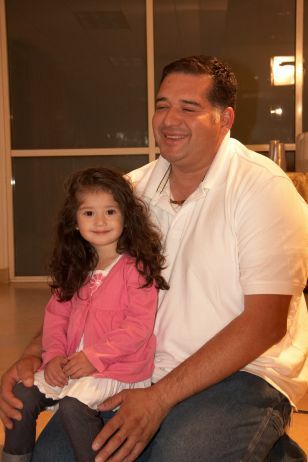 Families are welcome, and a children's program is provided. For more information and registration, click here. On January 16th, various disciples furthered our ongoing Global Clean-Up Project, as they cleaned up the Creekside Park area in Aliso Viejo, California. Over the last century this beautiful palm tree oasis has been polluted with trash and toxic waste. The group disposed of eighty-one bags of trash and four bags of recyclable waste. On February 13th, the community of Prema Drala Ashram celebrated The Divine Romance, one of the holiest days of the year. 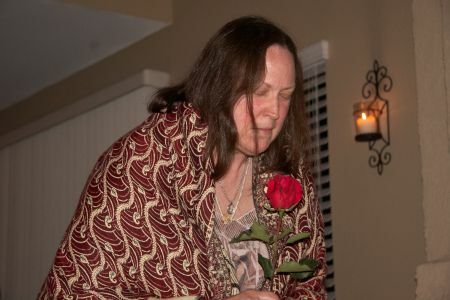 Brahmananda Nataraj led a ceremony which included prayers, invocations, and the reading of "Come to Me," a poem written by Guruji, that expresses The Divine Romance as seen through the eyes of God. 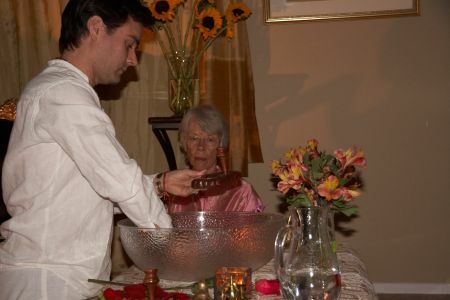 We then listened to a recording of the “Guru Paduka Strotam,” a traditional verse honoring the spiritual significance of the padukas (the Guru's holy sandals), while Brahmananda washed the padukas and consecrated the washing basin. He performed aarti to Guruji’s padukas, a symbolic offering of our egos to the holy, purifying flame of the Guru’s wisdom. On February 26th, Pranam performed a sacred music concert at the Temple of Light, in Lake Forest to an enthusiastic audience of 60 people. Adults and children alike were dancing in the crowd, everyone was singing, and the love in the room was palpable. 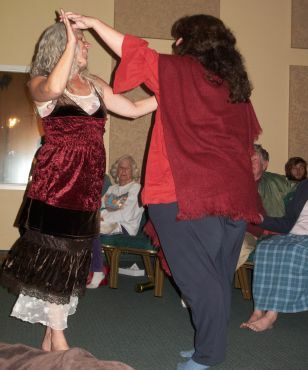 One audience member commented, "The musicianship was professional. The songs were engaging, creative, and at times sublime. Thank you, Pranam, for an amazing night!" 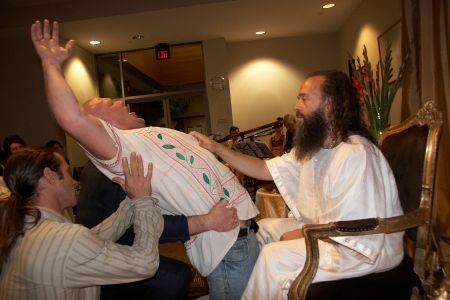 Louix has had a full schedule of public Darshan events over the last few months---events at which profound healings take place in the physical presence of the Master. 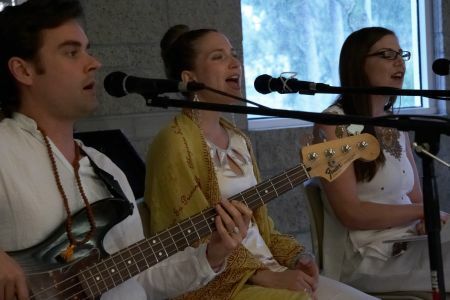 With Pranam always at work serenading the room with their "world devotional music," these events have helped to create a dedicated following of people attending these events, now occurring all over Southern California and the West. Over the last few months, these have included: April 28th in Henderson, Nevada (just outside of Las Vegas); March 7th at the Hills Hotel in Laguna Hills; March 25th at the Seaside Center for Spiritual Living in Encinitas; April 22nd at the Skirball Cultural Center in Los Angeles; and once more at the Seaside Center for Spiritual Living in Encinitas on June 3rd. 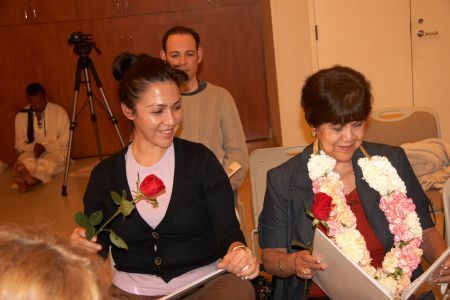 On April 24th (Easter Sunday), Prema Drala Ashram gathered to hold its Annual Spring Gardens Ceremony and celebrate Easter at the Sanctuary (Guruji's home). Guruji said an opening prayer to bless the meal and begin the festivities, then offered a memorial to the life and ministry of beloved Sathya Sai Baba, who had just entered Mahasamadhi that very morning (click here to read Guruji's eulogy to Sai Baba). We then enjoyed a luscious Mediterranean meal, and the children participated in an Easter egg hunt. 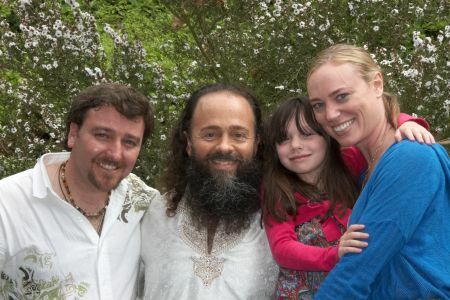 Many of the guests had their picture taken with Guruji while the garden was in full spring bloom. 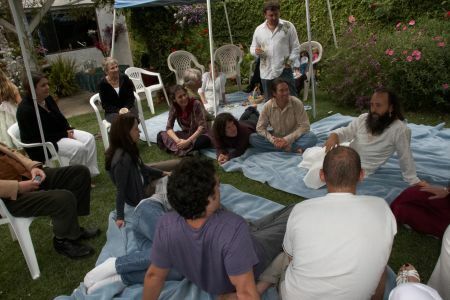 Guruji gave precious life counseling to several in attendance, and various disciples shared how their lives have been transformed since embarking on their walk with Guruji. 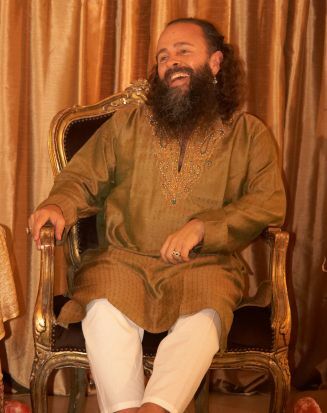 In the evening we reconvened in the Sanctuary's mandir and sang devotional songs for hours, while Guruji filled our hearts with His Divine love and shakti. 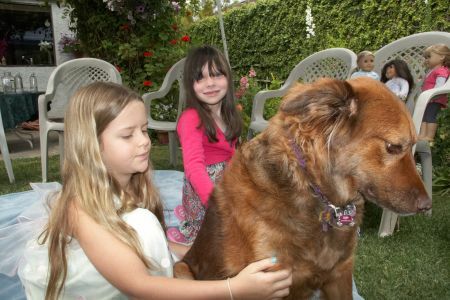 On May 14th, Louix held a One-Day Retreat in Mission Viejo, California. Louix began the retreat with a guided meditation during which we took an undersea journey, wherein a mermaid helped each of us discover deeper levels of self-love and recognition of our own beauty. He then gave a discourse on various topics, including: surrender, divine love, living in the world as an emanation of pure love, and enlightenment. After that, we enjoyed a delicious, organic vegan lunch, catered from local vegan restaurant Native Foods. The afternoon brought a rich Q&A session, where He shared His wisdom on topics ranging from terrorism, to self-purification, to employment, to healing family dynamics. The retreat was capped off by Pranam leading the group in some devotional songs. 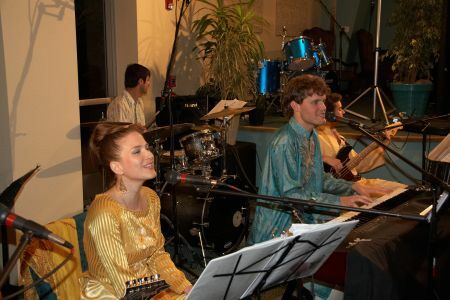 Dates and Time: July 20, August 24, September 28, and October 26, 2011 at 7:30 p.m.
Radiance Now! - Article by Louix in the May/June issue of this Orange County, California magazine. This magazine does not currently have an online edition. Vision Magazine - Article by Louix in the March issue of this California, Arizona, and Hawaii magazine. Vision Magazine - Article by Louix in the June issue of this California, Arizona, and Hawaii magazine. InsideLook Magazine - Article by Louix in the May/June issue of this online magazine. We have released three new photos of Louix Dor Dempriey, including a new Master's Portrait, available for purchase. Please visit the online store: http://www.prasadthestore.org/photos/louix-dor-dempriey.html. During this phase of growth and expansion, there are many opportunities to serve the Foundation. To learn more about volunteer opportunities and various service projects, please contact Samantha Farber at (888) 288-3735 or samantha@Louix.org (U.S. and other regions), or Kharananda Mayi at +61 3 9885-2993 or kharananda@Louix.org (Australian inquiries).